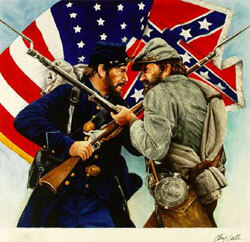 an important event in our history comes alive! During this two day event, soldier re-enactors camp overnight on the grounds. 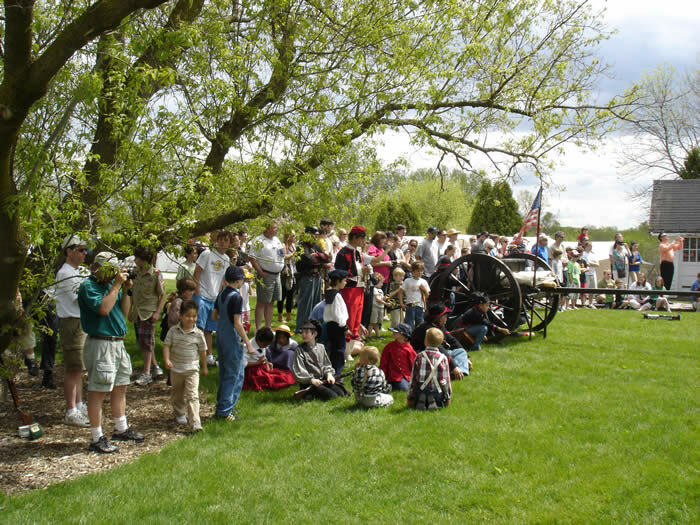 Walk through the campsites, hear cannon roar, tour the Inn. 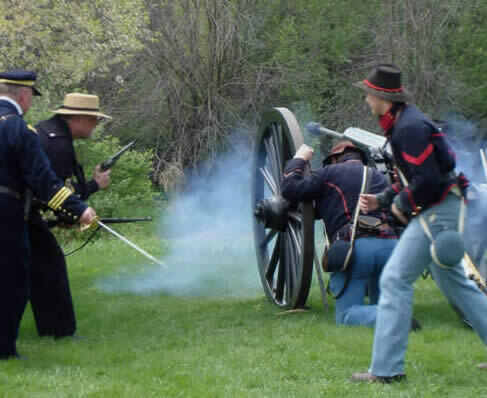 Watch Cushing’s Battery demonstrate the artillery and fire the cannon. Meet Pelham's Battery (CSA) and find out about their war experiences. Hear the Regimental Volunteer Band of Wisconsin perform Sunday on original period instruments. Bid on silent auction baskets. See performances by Wayne Issleb who will be appearing as General Grant on Saturday and Sunday. 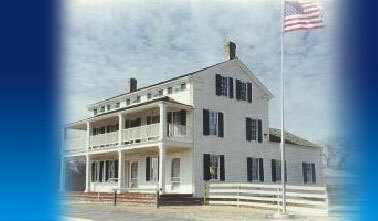 Visit the General's headquarters complete with telegraph! Purchase handmade goods from merchants: candles, quilts, clothing, honey, baskets, tinware, lace, carpets, buttons, hard tack, toys, soaps etc. Adults: $6.00 Children 3 to 12: $3.00 Children 2 & under free! Crowds gather to see the canon fire. 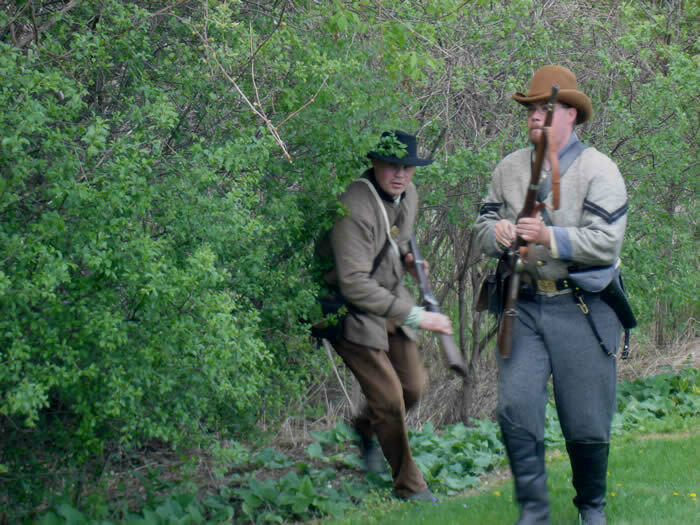 Confederate troops come out from hiding in the underbrush. 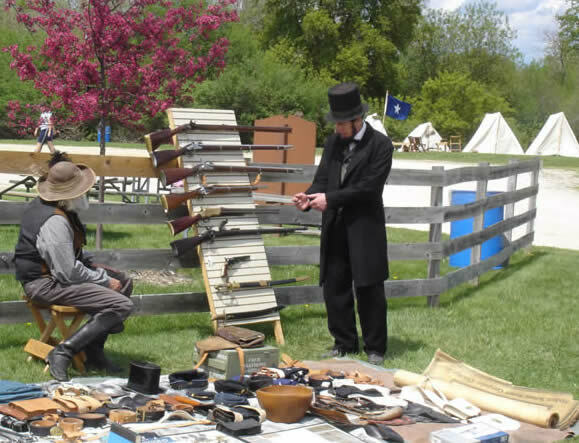 sutler during the Civil War Encampment.